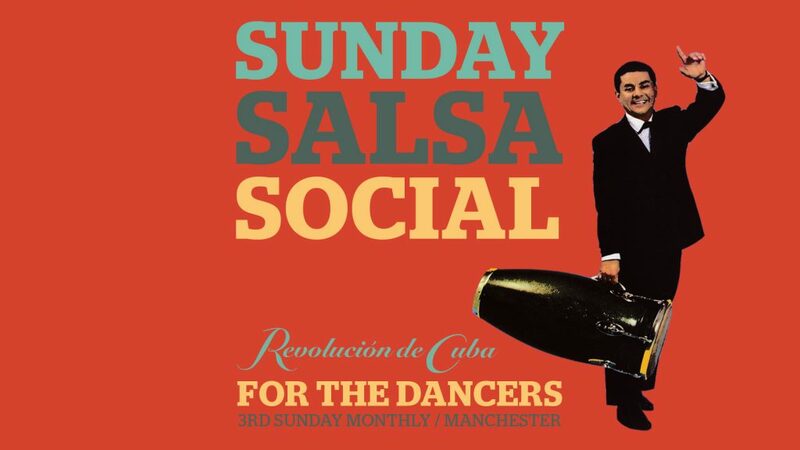 Looks like a great opening 2019 Sunday Salsa Social at Revolucion De Cuba Manchester is coming on January 20th. Here’s the second one of the year – Sunday 17th February 2019 – once again with our resident team of DJ Lubi, DJ jane Salsaldi and Gormack Dione. Reminder of who we are and what we do. For this second party of the year, we welcome back international salsa dance teacher Gormack Dione, originally from Paris, now based in Manchester. An international teacher with two decades experience who has had dance schools in Paris, Spain, London, Leeds and now Manchester. plus guested at many salsa congresses Europe wide. He will be teaching his intermediates level crossbody salsa on1 class from 7.30pm-8.30pm. The cost of the class & club will be just £4. The club only remains £3 as usual.